למי שרוצה מוניטור משוכלל שמאפשר חיבור גם למסך (שמגיע עם המכשיר כמובן) וגם מהטלפון בחיבור לאינטרנט – בבקשה. 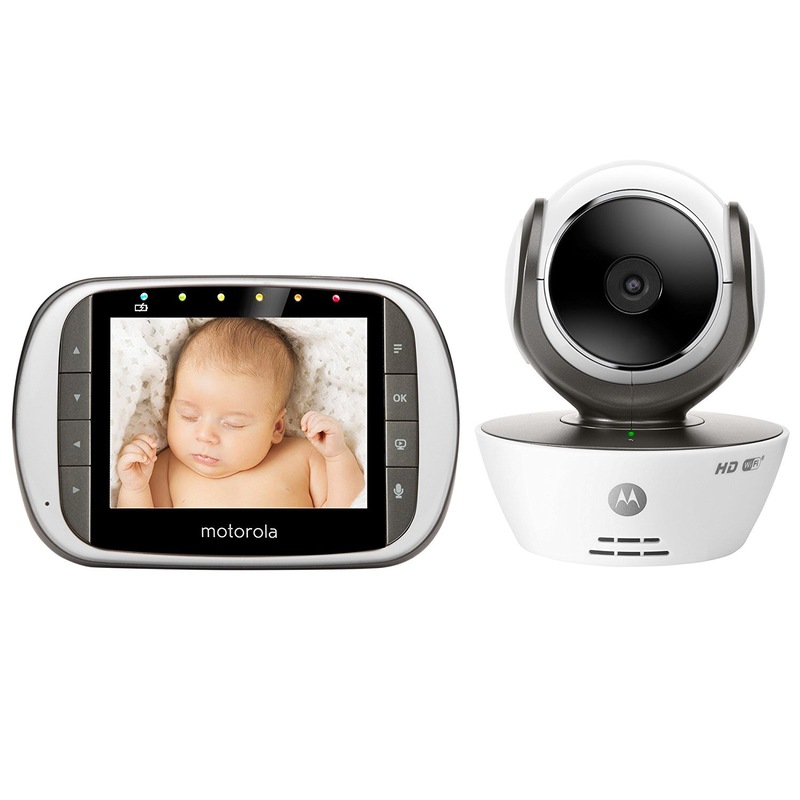 The MBP853CONNECT is a remote wireless baby monitor by Motorola that enables you to always keep an eye on things both while at home on the parent unit and away on compatible smartphones, tablets and computers. The crystal clear two-way communication feature allows you to communicate without being in the same room. 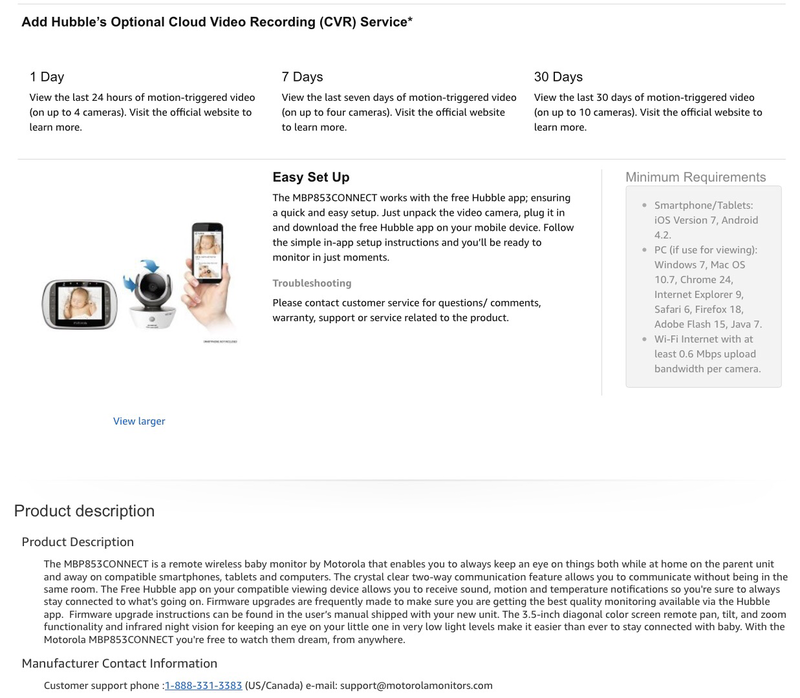 The Free Hubble app on your compatible viewing device allows you to receive sound, motion and temperature notifications so you're sure to always stay connected to what's going on. Firmware upgrades are frequently made to make sure you are getting the best quality monitoring available via the Hubble app. Firmware upgrade instructions can be found in the user’s manual shipped with your new unit. 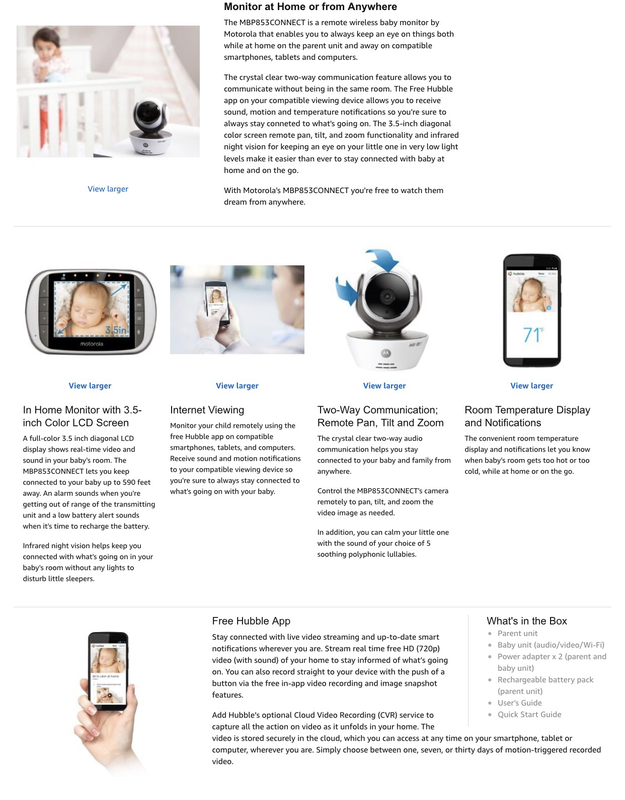 The 3.5-inch diagonal color screen remote pan, tilt, and zoom functionality and infrared night vision for keeping an eye on your little one in very low light levels make it easier than ever to stay connected with baby. With the Motorola MBP853CONNECT you're free to watch them dream, from anywhere. אמזון ארהב – http://amzn.to/2vA7Xkp | מחיר 160 דולר עד הבית. אמזון אנגליה – http://amzn.to/2uOS3oN | מחיר 162 פאונד עד הבית.